Continued from "Poison in The Menu"
Aamir kept this show on the human level. He did not target the liquor lobby nor did he go into the statistics of revenue that the establishment generates through liquor business. For a puritan, the solution to the wine menace is simple - remove it from the scene. But the show did not go into those extremes. Advices flew. Self-restraint, rehabilitation, responsible drinking etc. came as the mantras to tackle the problem. There’s no doubt that India is a young country with 65% of its population below thirty years of age. The tragedy is that this young lot is addicted to wine, cigarette, drugs, or tobacco. The young are worse than the old. The youth stands for enthusiasm, freshness, determination, hard work, optimism and such similar things. Wine stands for lethargy, bad smell, swollen face, absenteeism, negativity, and bad health and so on. We are a nation of young but old people. The extent of addiction especially among the youth is horrific. India used to be and still is to some extent, a country where drinking has been a male domain. Media, advertising and movies are trying hard to change that. Women might not have competed with men in good areas but they’ll certainly put up a match in this category. Home-breaking, heart-breaking and all the crude stuff would also be due to drunken moms, sisters, daughters etc. Some drink in order to be cool. Others love to dance after taking wine. Some do it for the boss or the colleague. The story of Vijay was very clear. It was a pure case of alcoholism. A talented boy, Vijay had his first shot at around fourteen years of age. Boys crave to be adults. It’s ‘macho’ to drink. It became his regular habit in college. He joined journalism. He felt like the king of the press club. Wine consumed him. Relationships lost all meaning. Mother or father - everyone became a cipher. He took money from everyone- even a policeman and helping maids. He spared no one. Nothing mattered. Life became wine. A stage came when he lost everything - job, respect, home - just everything. He spent nine months on roads in Delhi. No food was required. All that was needed was wine. Railway toilets were the safest havens. He even planned to sell his kidney for wine. It went on till the day an old acquaintance put him in rehabilitation centre. He miraculously came back to life, to world. In the meantime, he lost his father. When a drunkard wants to return to life, he has to settle the moral records straight. The people whom he has bruised have to forgive him; he has to seek forgiveness. Another ex-alcoholic, Laxman shared his story. 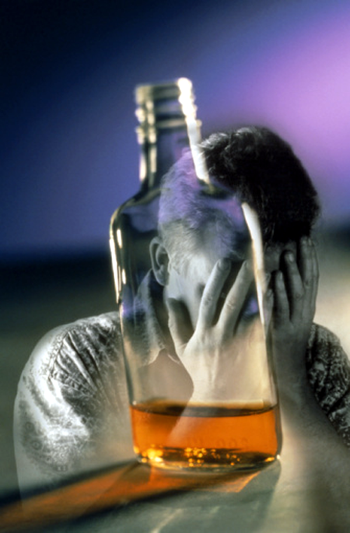 His life was saved by a service called ‘Alcoholic Anonymous’ (ph.09022771011). A village in Punjab, Changal has gone liquor free simply by removing the liquor shop. The saddest story was that of Karan Anand, a young fifteen years old boy who lost his life just because of sitting in a car driven by a drunken friend. No explanation, no justice, no meaning - simply gone! It was a heart-rending tale. Drunken driving is one of the biggest causes of deaths in India. Come Holi or 31st December or a marriage ceremony and people lose all control. Dr. Ashish Deshpande, a psychiatrist gave valuable information. Alcoholism is a disease. It needs treatment. A body prone to collect alcohol receptors the person feels angry, it’s a warning bell. If one has to take wine in order to start the day, it’s again a danger signal. Dr Vivek Benegal underlined the extent of this addiction in our country. Indians bend towards heavy drinking. Indians don’t drink to enjoy; they drink in order to get lost in drunkenness. The best part of the show was the courage of a celebrity like Javed Akhtar to come and share his past weaknesses. A celebrity is what his image is. To speak honestly is a tough task, especially for a well- regarded person. Akhtar effectively dissociated glamour from drinking. One who drinks is a fool. I just cannot emphasize enough the utter genuineness of this topic. The more I say, the less it seems. Seeing, teaching, and dealing with young people every day of my life, I fully realize that a very large number of our young people have become useless due to wine. So many lives have been wasted due to this addiction. Wine has engulfed the lives of many, who have no other active interest or zest. They don’t have any purpose. Liquor lulls the senses; it folds the mind. One stops thinking. The initiative, as always, lies with the individual. The key lies with the individual. A small desire to return to normalcy changes everything. May that change happen everywhere with everyone! Continued to "The Cancer of Caste in The Indian Consciousness"
Excellent article. It should be circulated widely and published in major newspapers both in India and in the UK as well as Pakistan. Alcohol is a serious problem and so is smoking. Our youths are getting carried away by looking at celebrities indulging in this terrible habit which is a curse. I have seen too many young brilliant people destroyed by this horrible horrible habit. Today's show was good in parts only. The story of Vijay Simha was interesting while the loss of Curran as described by his broken father was very tragic.Aaamir remained away from giving examples of film actors who have killed footpath dwellers in cases of drunk driving.Nothing much is possible in India in this direction unless laws regarding drunk driving are made stringent,as in USA where Blood alchol consteration (BAC) of above 0.08 % leads to license suspension.Even open containers found in the car leads to case against the passenger/driver and failure to subject to chemical test invokes instant licence suspension.In some states offenders are given different number plates which signify their status of having been charged for drunken driving.